The American artist Mark Rothko made huge abstract paintings that touch people’s souls. Some are even moved to tears. About this the artist said:[“The people who weep before my pictures are having the same religious experience I had when I painted them”. It is kind of special that an abstract work of art can evoke that sort of emotion, even though it may come across as fairly aloof. What is the power in this work? Usually, people show up in droves in museums to see his paintings. What would it be like to be the only one? Well, find out at the exhibition Rothko & me. You are welcome to enjoy one of his top pieces, the painting Grey, Orange on Maroon, No 8 of 1960, all on your own and without your mobile phone. Nothing will stand in the way of your intimate moment with the painting: this really is ‘Rothko and me’. Mark Rothko (1903-1970) was the first abstractionist to demonstrate the centrality of emotions with his intense colour areas. “If you are moved only by their colour relationships, then you miss the point”, he said. “I’m interested only in expressing basic human emotions: tragedy, ecstasy, doom and so on.” He was not interested in colours, even though the titles of his paintings might suggest otherwise. Rothko’s Grey, Orange on Maroon is one of the major works of the Museum Boijmans Van Beuningen and due to that museum’s renovation it can temporarily be admired in the Stedelijk Museum Schiedam, six underground stops from the Rotterdam Exchange. Many thanks are due to the Droom en Daad Foundation, initiator and sponsor of the ‘Boijmans Next Door’ project. 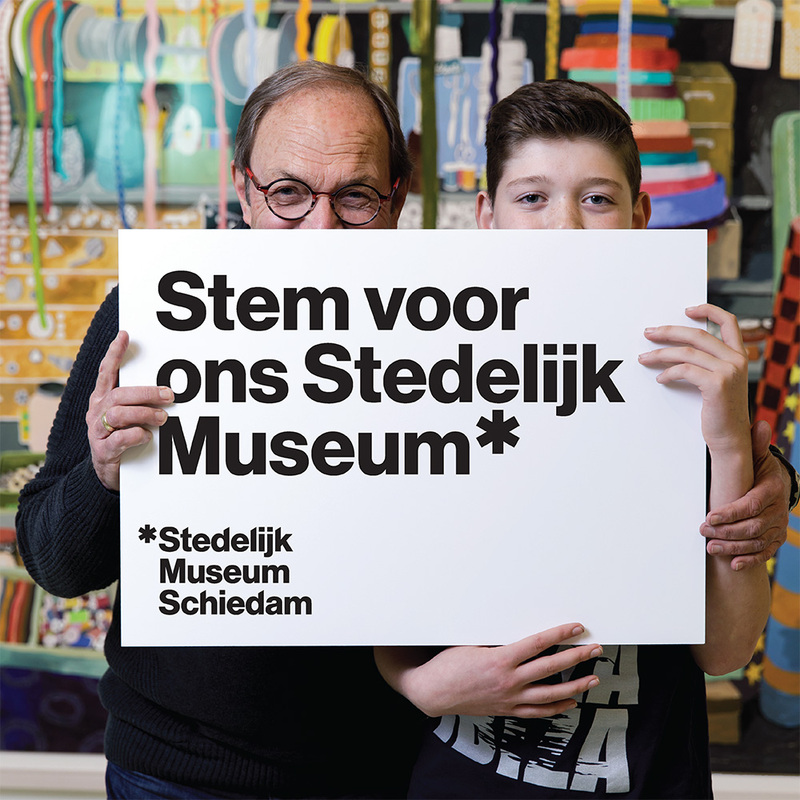 It is under the flag of that scheme that top pieces from Boijmans will be on display at seven locations in Rotterdam – and in Schiedam – until 2022. Meanwhile, prior to your visit, you can get in the mood with the help of mindfulness tips for spectators. Then you can also decide whether you will use headphones to enjoy ‘the Rothko’ while listening to music; or not, if you prefer silence. Do it by yourself, standing or sitting, without your mobile phone, although you are of course welcome to make pictures. Some moments you just wish to immortalize. Stylist and exhibition designer Maarten Spruyt, who has designed the waiting room and the exhibition room, provides peace and quiet, making the colours sparkle intensely. You can look as long as you like, unless there is a long queue. In that case there is a maximum of 10 minutes per visitor. People who absolutely want to have the picture for themselves for an hour or even 24 hours, can book a special time unit. We also organize Rothko & us with musicians, philosophers or poets for small groups. Just watch our website. Rothko’s work is popular all over the world. Who was this artist who is so loved by spectators? 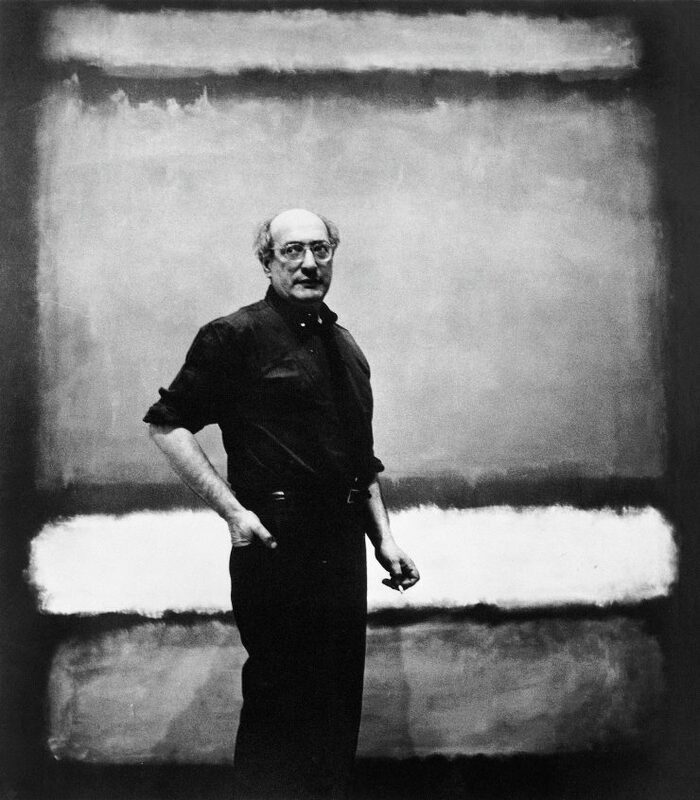 Mark Rothko, still called Mark Rothkowitz at the time, emigrated from Russia to the US at the age of 10. He was 35 when he was granted American citizenship. Two years later he changed his name into Rothko. As a young man in his twenties he enrolled with the Art Students League of New York, but after a short while decided to improve his artistic skills by himself. His talent did not go unnoticed. In 1933 Rothko had his first solo exhibition in the Portland Art Museum. From 1947 onward he chose to focus on abstraction, making paintings in the style that made him world-famous, with two or three rectangles in different colours on a solid substrate. In the late fifties Rothko was at the pinnacle of his fame. He was given substantial commissions and painted huge works. In 1961 he had a retrospective in the Museum of Modern Art in New York. His most famous commission, in 1964, involved a series of paintings for a chapel in Houston, Texas: the Rothko Chapel. Despite his success he suffered from depressions and on 25 February 1970 he took his own life. The exhibition Rothko & me links up perfectly with the collection of Dutch post-war art of the Stedelijk Museum Schiedam, with CoBrA and informal painting, and at the same time it bespeaks the international level of its programming. From 16 February to 2 June 2019, for example, we are hosting the exhibition Manzoni in Holland. The Museum generally realizes exhibitions of modern and contemporary art, focusing on social themes and history. For further information about the ‘Boijmans bij de Buren’ project click here. From the 16th of February till the 2nd of June the Stedelijk Museum Schiedam will exhibit Manzoni in Holland. As part of this exhibition a peanut butter floor will stand in the museum for the whole duration of the exhibition. This peanut butter floor may effect visitors with allergies. Click here to read more about the peanut butter floor.